Season 2 will be dedicated to EXPLORING and the great explorers of the world. This is the overarching theme, but what about archives you might think? Well they will still be around because they are the big sources of knowledge and inspiration in this podcast. We will continue to visit museums, archives, libraries and other places where interesting people reside so that our insatible curiosity can be pleased for at least a moment. 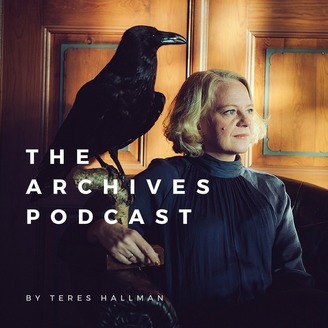 So I have changed a few things and if you’ve listened to season one you’ve immediatelly identify one big thing I guess - the change of language from Swedish to English. The hope is to reach more listeners by doing so. Explorers are the ones who go on their own paths to discover new places, things, ideas and ways of living and being that the rest of us don’t know of yet. And they all have great stories to tell and who doesn’t love that? 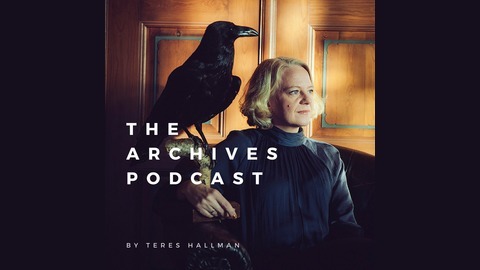 To find out more about the podcast visit archivespodcast.com For more about me, Teres Hallman, and the services I offer visit tereshallman.com. Det blir mycket nytt i säsong 3! Nygammalt är att podden åter blir på svenska. Övergripande tema: Gömsle eller vart går vi för att hitta oss själva? Lyssna för att höra vad som är på gång.